TCS-152, Full-Range PA Speaker Cabinet from Turbosound in the TCS series. Turbosound will be showing its TCS series sound contracting products, and its Flex Array system in both flown and ground-stacked configurations. The new TCS series is a range of installation products ranging from a large-format double 18" subwoofer and two single 15" arrayable subs, through 12" and 15" active/passive two-way mid-highs to an ultra-compact 6.5" passive model. Turbosound has also developed a high power three-way switchable bi-amp / tri-amp loudspeaker designed to provide contractors with a full complement of solutions. The TCS series provides several options — including IP54 weather-resistance, and a choice of custom colors. In addition, the TCS-122 and TCS-152 are offered with a choice of factory-supplied horn dispersion patterns: 90°h x 60°v, 60°h x 40°v, and 90°h x 40°v. For more information, visit www.turbosound.com. EAW JFL210 Available EAW has announced that its JFL210 Compact Constant Curvature Line Array and compatible sub, the JFL118 Subwoofer, are now available to purchase. 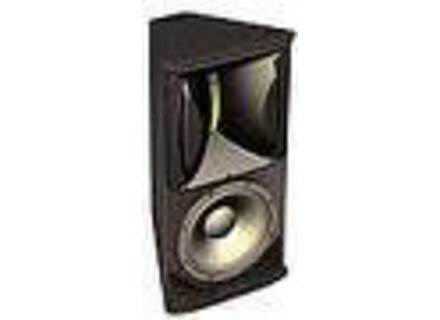 Yorkville LS2104 Yorkville has introduced its 3000W 21-inch Elite LS2104 passive subwoofer. ElectroVoice CPS Series ElectroVoice has introduced the CPS Series of seven new pro-grade amps.